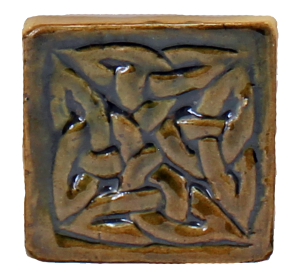 These Framed Tiny Tiles by Celtic Valley Ceramics are new in stock and I just love their choice of Celtic symbols. 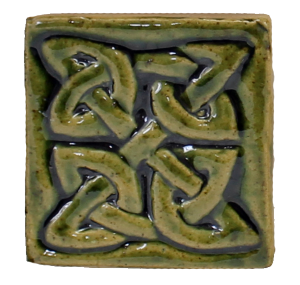 This Irish gift, entitled ‘Emerald Forest Framed Celtic Tiny Tiles‘ is a beautiful collection of 8 ceramic mini tiles with different Celtic symbols and a colour combination that typifies an Irish forest. Many of the Celtic knots and spirals have a common design feature of one continuous line, often weaving around itself, having no beginning and no end. 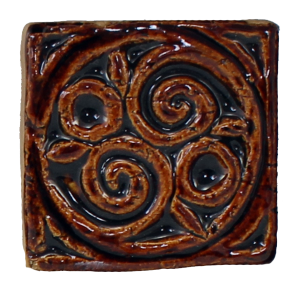 Thus these designs represent ancient Celtic beliefs in the eternal spiritual life and the relationship with the divine and with nature. Celtic symbols were very powerful attributes for the various aspects of the ancient Celtic way of life, including meaning of life, religion, love, wisdom, and war. The Celtic symbols represent significant meaning and some of the designs would have been incorporated as elements of the language of the time, particularly for the Druids. The Celts believed the most important things in life came in sets of three and there are a number of Celtic symbols that represent these sets, such as earth, sea and sky; air, fire and water; mind, body and soul; maiden, motherhood, matriarch. Here we have provided a brief guide of these tiny tiles and the meaning of the Celtic symbols, some of which pre-date Celtic times and would have been used, or variations would have been used, in a number of different countries and religions. The ancient Celtic dragon was a symbol of wisdom, fertility and immortality. Celts believed dragons were wingless creatures, such as worms or water-serpents, who lived deep in the earth or sea, therefore representing the untamed forces of nature. Dragons were considered to be very powerful and became the symbol of the power of the chieftan and the Celtic word for ‘chieftan’ is ‘pendragon’, hence the importance of these Celtic Symbols. Christians purely saw the dragon as representing chaotic natural disasters and evil, hence they regarded the Druids as devil worshippers. St Patrick drove the serpents out of Ireland, some would say this represents a religious conflict between Christianity and Paganism and that the ‘serpents’ represented the Pagan way of life rather than physical snakes. 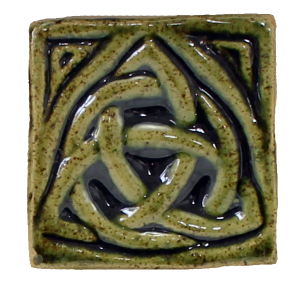 The most common Celtic knot is the Triquetra, which literally means three cornered. This design is also known as the Trinity Knot and when encircled it is known as the Trinity Circle. Such Celtic Symbols represent unity of the body, mind and soul – physical, mental and spiritual. The triquetra can also symbolise the past, present and future. In the Christian faith, the three points of this design represent the Holy Trinity, i.e., Father, Son and Holy Spirit. This pre-Celt double spiral design is a symbol of balance and represents the equinox, which occurs each year on the c.20th March and c.22nd September. At these times the length of the day and the night are the same, balanced, i.e. twelve hours each. The spiral is a solar symbol and the double spiral the journey of the sun. The ancient Celts believed this knotwork had powers of protection. This knot was placed on the shields of warriors to protect them in battle. It was also placed on children’s clothes to keep them safe from danger. It was also believed that the shield knot could help with the evil spirits that brought illness and so was placed near sick people to help cure them. 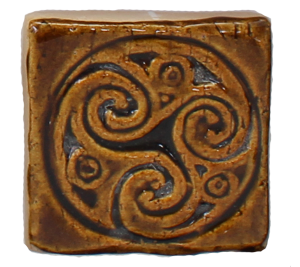 These Celtic symbols with the four corners of this knot are thought to represent the 4 gods who protected the people of the earth and who brought the 4 seasons and the 4 elements of earth, water, fire and sky. 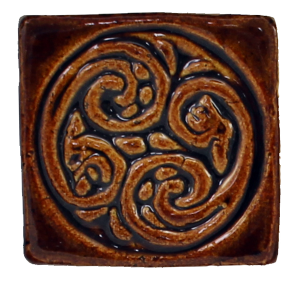 This spiral appears in many Celtic designs and ancient Celtic art and has a tight connection to the Triskele symbol. 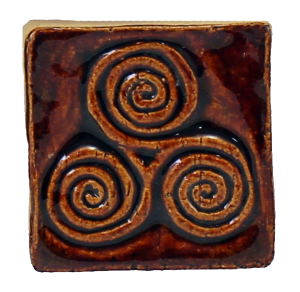 This Triple Spiral design signifies the spiral of life, i.e., birth, death, rebirth. The spiral shows the continuity and cycle of life. As with the double spiral, the spiral is an ancient symbol of pre-Celtic times and can be found carved on pre-Celtic stone monuments, although Celts would also have used these symbols. The Celtic Cross is also referred to as the High Cross, the Irish Cross and the Cross of Iona. It has pre-Christian origins, but is associated with Celtic Christianity. The Celtic Cross is traditionally a Christian Latin cross with a circle around the centre arms. The circle and cross combination symbolises the harmony and stability of powerful divine energies of a solar life source. The circular shape was an important pagan symbol, by incorporating this pagan circle on the cross helped to convert pagans to Christianity, indeed some believe the idea of this Celtic symbol was first conceived by St. Patrick in an effort to convert the Druids. The Celtic Love Knot is also known as Eternity Knot or Round Knot. 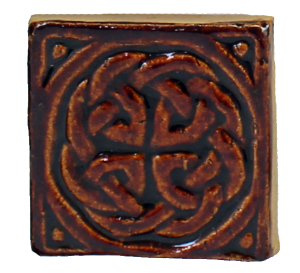 The design of these Celtic symbols is complete interlaced loops that have no start or finish and so is everlasting. The Love knot represents faith, friendship and love between two people, where the knot crosses it symbolises the unity and wisdom of the couple. The Dara knot, is derived from the Irish word ‘doire’, meaning oak tree, being the king of trees and the tree of life. These Celtic symbols represent the deep root system of the oak tree and in turn our own source of deep inner strength. The trees were sacred to the Celts, especially the Druids who felt trees embodied life and had spiritual powers and wisdom. As such the Dara knot symbolises wisdom, stability and endurance. The Triskelion is also known as the Triskele. This design can symbolise a number of unties of three; maiden, motherhood, matriarch; eternal life, flow of nature and spiritual growth; land, sea and sky; past, present, future. This symbol can be found on the historic site of Newgrange, which dates back to Neolithic times. Thus this symbol is over 5,000 years old and pre-Celtic. Although the Celts would have adopted this symbol. 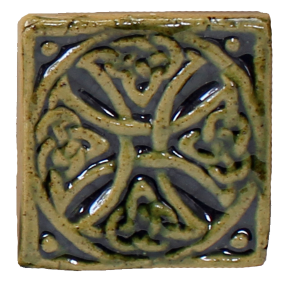 See also the beautiful ‘Winter Forest Framed Celtic Tiny Tiles‘ for these Celtic symbols in an amazing winter colour combination.